Spotify has launched Stations, a new ad-supported app that lets you listen to playlists curated by the company at no charge. It’s presently only available for Android to users in Australia, and has been labeled an ‘experiment,’ so it isn’t yet clear whether it’ll arrive on other platforms and in other countries. For now, Stations seems like it’s designed to help you get music on your speakers with minimal effort: instead of searching for artists and albums, you simply pick from a range of playlists, labeled by genre. Mashable notes that you’ll also find Spotify’s Release Radar and Discover Weekly playlists in there. Plus, liking songs to indicate what you’re into will unlock personalized stations. 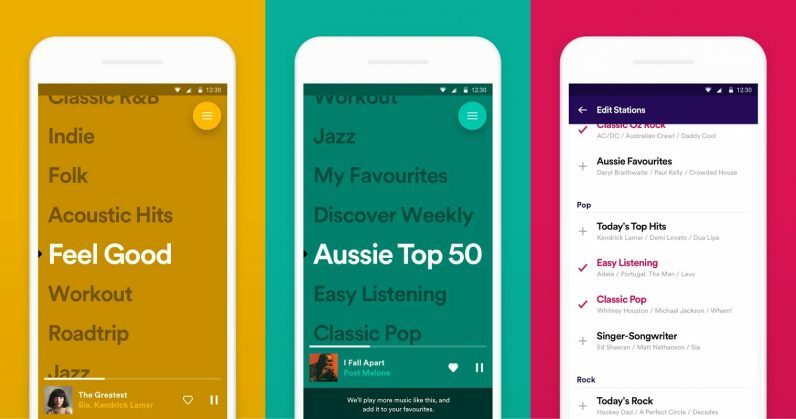 However, you can’t skip songs or curate your own playlists by adding tracks. It’ll be interesting to see if Stations gains steam, as it could allow Spotify to compete with the likes of Pandora and bring in ad revenue, without having to charge new users. Personally, I prefer being able to choose songs, discover artists individually, and listen to albums in their entirety, so it doesn’t sound like Stations is for me. But it could certainly appeal to folks who want to tune into something right quick, or set the mood for a party without much fuss. Find Stations on Google Play by following this link. Read next: The future of hacking is decentralization — can blockchain spark innovation?